What is SIBO, how do you get tested, and how do you treat it? What’s the best diet for SIBO? Get answers to all these and more, plus how to book an appointment for one on one help from a registered dietitian. Note from Dena: I’m excited to share this guest post on such an important topic. It was written by Marla Ramos, Dietetic Intern, as part of a new research partnership between Back To The Book Nutrition and post-graduate nutrition students from the University of Houston. Bloating. Gas. Abdominal pain. Belching. Diarrhea. Constipation. We all suffer from these from time to time, but if you’re one of many people who are experiencing one or more of these symptoms on a weekly – or even daily – basis, you may have SIBO. In fact, if you’ve been diagnosed with Irritable Bowel Syndrome (IBS), you’re almost guaranteed to have SIBO (Source). The root causes of SIBO are still being understood, but it seems as though risk factors are similar to those for other gut disorders. Small intestinal bacteria “feed” on food matter that doesn’t move through the small intestine as quickly as it should, allowing the bacteria to proliferate. Bacteria from the large intestine travel to the small intestine and proliferate (more common than #1). This may not sound like a big deal. But it can wreak havoc on the GI system and, if it isn’t treated, can lead to other health complications. If you have any of the following symptoms and are not getting better with treatment or diet changes, consider testing for SIBO. Currently, there is no perfect test for SIBO. Scientists are hard at work exploring new methods of testing. Until then, the most common methods of testing for SIBO measure levels of methane and hydrogen in the breath after drinking a liquid solution of either lactulose or glucose. These tests are simple, can be ordered online, and can sometimes be performed in your own home. If you don’t already have a practitioner who can order these tests and discuss the results with you, I’d be happy to help! Contact me here for details and pricing. Methane-Predominant SIBO – Caused by bacteria that produce primarily methane, giving rise to constipation, which is why this form is sometimes called SIBO-C.
Hydrogren-Predominant SIBO – Caused by bacteria that produce hydrogen, which is associated with diarrhea or loose stools. Hence, this form is sometimes referred to as SIBO-D. There is actually a third type of SIBO – hydrogen sulfide SIBO – which has more recently been identified and is currently only able to be tested for in the research setting. I Have SIBO – How Do I Treat It? There are a few different approaches to addressing SIBO, and the latest research indicates that a combination of medical + nutritional therapies are most effective. According to Dr. Mark Pimentel, MD, Director of the Gut Motility Program at Cedar-Sinai Medical Center and leading expert in SIBO, well-fed bacteria are easier to kill with antibiotics (both conventional and natural) than those that have first undergone a period of diet changes. Because of this, some experts recommended basic diet changes (reducing sugars, refined grains, and dairy) rather than overly restrictive diets that were previously recommended for SIBO. The entire process of medical + nutritional therapy can take 6-12 months. (Source) It’s important to consult with qualified providers about which of the following medical treatments and dietary approaches might be best for you. Antibiotics, two in particular, have shown to have great results in the treatment of SIBO. Prokinetic agents (such as Metoclopramide) are often given alongside antibiotics to help move things through the gut more quickly and reduce risk of feeding the bacteria. If you prefer not to take prescription antibiotics, a recent study showed herbal therapies may work just as well, and usually with fewer side effects. Atrantil (blend of several botanicals) – Works best on methane-predominant SIBO. Recent studies have shown that prebiotics and probiotics may be an effective alternative to antibiotics in treating SIBO or, at the very least, can improve outcomes when added to antibiotics. (Source) Download your free Ultimate Guide to Probiotic Supplements here! 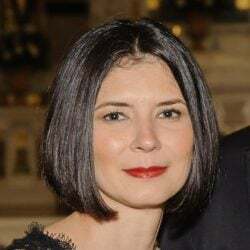 Functional neurologist Dr. Datis Kharrazian suggests that many individuals with SIBO have a problem with their brain-to-gut connection, which allows the overgrowth to occur in the first place. He maintains that many of his patients with SIBO benefit from simple, at home therapies (such as aggressive gargling, inducing a gag reflex, etc.) that can be done several times daily to re-train the brain-to-gut connection. These therapies essentially repair the motility problem for which conventional doctors might prescribe prokinetics. Here is an excellent interview with Dr. Kharrazian in which he discusses a number of gut-brain issues. The entire hour-long interview is fascinating but, if you want to skip straight to the at home therapies and discussion of SIBO, they’re around minute 12 and 18, respectively. More info on each of these SIBO diets can be found here. Will My SIBO Come Back? To reduce the risk of recurrence, it’s important to also treat the underlying causes listed above, such as inflammation, poor immune function, insufficient stomach acid, and dysmotility. Eat a nutrient dense, SIBO-preventive diet, such Pimentel’s SIBO Diet or another diet listed above. Minimize intake of inflammatory foods like processed vegetable oils, refined foods, and added sugars. Avoid unnecessary antibiotics and other medications that disrupt gut flora. Get Help with SIBO Today! Need help getting to the bottom of your SIBO, GI complaints, or other nutrition-related concerns? I (Dena) am currently booking client appointments – times are flexible and we can meet via phone or video call so you never even have to leave home! Great information! I bet many people that have SIBO are completely unaware. Thanks Linda – you’re so right. Too many are misdiagnosed or just learn to live with the symptoms, but it can be treated so easily! I have been diagnosed with IBS so this article is particularly interesting to me! Thanks! Wow! 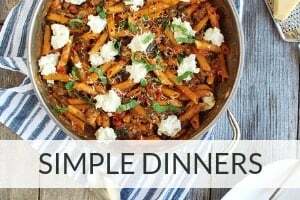 This is a great resource for people dealing with SIBO! So glad there are multiple options out there for healing. I feel like the “manage stress” component is so very important in our world today! We could all do so much better, because stress effects our health way more than we realize! I’ve heard of SIBO before, but never really understood what it is, or what to do about it. Thank you for providing such a comprehensive and helpful resource! Thanks for your kind comment, Raia! I’m so glad you found it helpful. Marla really did a great job of putting the post together! Herbal antibiotics were very successful for me, and a mindful diet, as you mentioned. Thanks for sharing all this good healing information! That’s wonderful to hear, Megan! This is such an important topic that so many of us don’t know about (me!). Thank you for breaking it down for us. So glad you found it helpful, Emily. I’m grateful for all Marla’s hard work in putting it together! Hi I noticed you mentioned Rifaximin for abx, have your heard about Flagyl to treat SIBO? That’s a great question. Yes, historically, Flagyl (Metronidizole) has been a common choice. However, it seems to be less effective than the medications listed in the article. There was a 2016 study published in the Brittish Medical Journal that confirmed Rifaxamin was was significantly better (80% effective) than Metronidizole (50% effective) at treating SIBO. Dr. Pimentel, a leading expert in SIBO, prefers Rifaximin alone or in combination with Neomycin, though he admits he will sometimes substitute Metronidizole for the Neomycin. I use some of the natural herbal products mentioned in the post with my clients and have seen good results with those too. I hope that clarifies a bit – let me know if you have other questions! I’ve done two rounds of rifaximin and neomycin and only the methane levels went down. My hydrogen levels doubled. My doctor is now treating with herbals. Why didn’t my hydrogen levels respond to the rifaximin if it’s supposed to be so effective? It’s worrisome to me. I’m sorry to hear you’ve had a tough time getting over SIBO. It’s important to remember that no treatment – herbal or prescription – is 100% effective. That said, there are some things to consider: (1) You may need a higher dose and/or longer coarse of treatment than usual if you have a particularly severe case; (2) I don’t typically advocate for a super strict SIBO diet. But, in severe cases, reducing intake of FODMAPS may be a good idea just to reduce the amount of “food” available to the bacteria; (3) You can also talk to your doctor about whether motility agents and/or digestive aids like Betain HCl could be helpful to address any slow motility/poor digestion of foods that often contribute to SIBO and may be keeping you from making progress. I hope that helps – hang in there! Having read your entire article I realize I just might have SIBO and neither I or my Dr are aware of it. I have many of the symptoms! I will be going to my Dr next week anyway and will ask him about it. 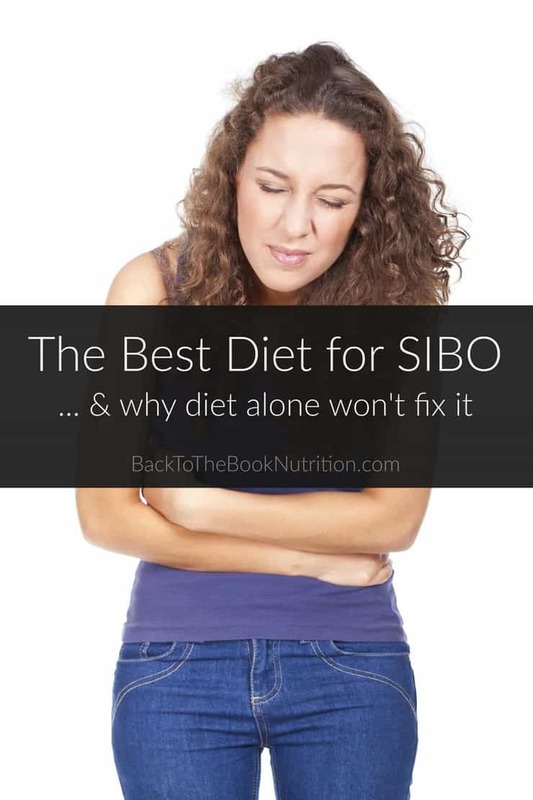 I’d actually never heard of SIBO before reading this post! Really interesting information and I have actually had phases where I’ve had a few of these symptoms… maybe I’ve discovered what it is. If you’ve had symptoms, I would encourage you to dig a little deeper with your own research and possibly with the help of a knowledgeable practitioner. You really don’t want to let this stuff go unaddressed. This was very informative. I’m sure this will help people. Thank you for sharing. I have never heard of SIBO, but I’m sure I probably have it. I have had digestion issues my whole life and have been diagnosed with IBS. I am definitely going to look into those diets you suggested. I’d definitely keep digging to find that root cause(s) of your IBS, Melanie. You may want to find a holistic practitioner who can run some tests for you and tailor a diet, supplement, and lifestyle plan to best fit your situation. Best wishes! I’d never heard about this, but this sounds like a stomach complication I’ve heard people complain about before. I’m glad you listed natural remedies for relief– that’s always the way I look to go. That’s really informative and well-thoughtout. Thanks for generously sharing your knowledge. Wow I’ve actually have never heard of this. Such an informative post for people suffering with SIBO! Thanks for sharing! My first time bearing about sibo. Good read and very informative. Thanks for sharing big light on this. Always good to keep to good health and this i will study more on. Really Interesting blog post! I’ve never heard of SIBO but because I have many stomach issues I might explore it further! You’re welcome Kylie – glad it was helpful to you! You think even kids can get this? Is excessive gas for kids is fine? This is such an informative post. Yes, kids can definitely have SIBO. But “excessive gas” can be hard to define since the younger the children are, the less socially aware they are about passing gas in public so it can seem like they’re extra gassy when they’re just not holding it in like adults do. 🙂 If they’re complaining more of stomach upset or you notice they’re burping or passing more gas than they have in the past, it may be something to look into. This is so informative! I’ve only heard of SIBO one other time, I’m always have stomach issues! It might be worth looking into with your doctor or other knowledgeable gut health expert. this is so interesting! I never heard of SIBO and I would definitely benefit from going to the doctor and check this. That is so much great information for someone that don´t know something about it. Thanks for the info! I have never heard of SIBO before and it sounds like you really have to do a trial and error of different foods that trigger it. Yes, sometimes a bit of trial and error is required on the diet piece, but low FODMAP is a good place to start for most people. Thanks for this article Dena! I was diagnosed with SIBO several years ago after having intensive appendectomy surgery. I’ve taken 3 or 4 rounds of rifaximin and it seems to always cycle back. I seem to also be stuck in a rut since I was tested and diagnosed with SIBO through the hydrogen breath test. Insurance doesn’t want to pay for it and doctors have to write the prescription in a certain way to get it covered for SIBO, which I don’t think is long enough to kill the bad bacteria. I went to the leading G.I. in my area and he doesn’t know much about it. What I really want is a course of treatment for the underlying issue, not to just mask the problem. Could you please send me info. 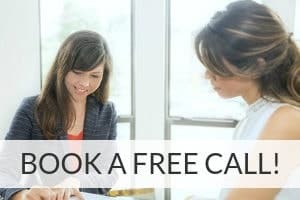 on the pricing of your coaching calls? I’m really interested in seeking your advice. Thanks! I’m sorry to hear you’ve been battling SIBO. It can be tricky to get rid of for some people. I definitely take a root cause/whole person approach so we address the overgrowth head on while also identifying and correcting what allowed it to develop in the first place. I’ll email you some details now about my coaching services and testing. I am not really superb with English but I line up this really easy to interpret.